Historians have reconstructed what Windsor Castle originally looked like when it was built by William the Conqueror in 1071 to deter Anglo-Saxon rebels. 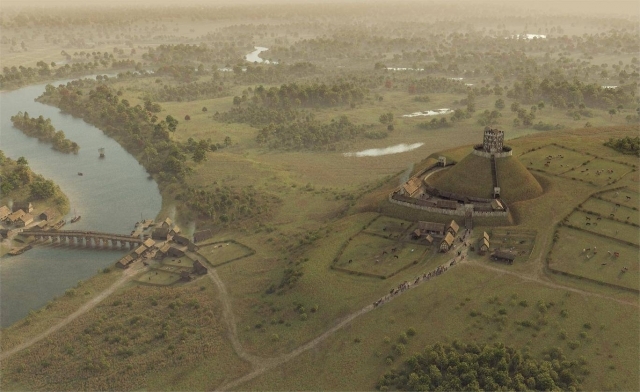 Researchers have used a series of archaeological discoveries made over recent decades to determine the original size and construction of Britain’s largest medieval fortress. The reconstruction of that first Windsor Castle has just been published by the Royal Collection Trust in a major new book Windsor Castle: A Thousand Years of a Royal Palace. All that remains today of the original castle is the great central mound and about 100 metres of the line of part of the original timber palisade.